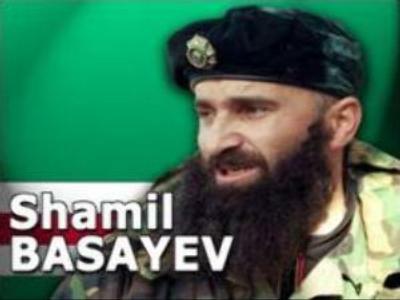 A Russian newspaper has carried out its own investigation into the killing of one of the internationally wanted Chechen terrorists Shamil Basaev. It claims an operation led by Russian Special Forces led to his death in July 2006. Shamil Basaev has been wanted for a long time. He was ranked 49th on a UN Security Council list of international terrorists. He is regarded as a mastermind behind a number of terror attacks in Russia including the Beslan school siege. A truck containing Basaev and a group of militants exploded on July 10 last year in Ingushetia, South Russia. It wasn't clear at the beginning whether this incident was down to an operation by Russian Special Forces or was an accidental blast. Both Russian officials and Chechen militants confirmed the death of the terrorists. Russian Security Services said the group, headed by Basaev, was masterminding a large scale terror attack in Ingushetia ahead of the G8 summit in St Petersburg. At the time, head of the Russian Security Service, Nikolay Patrushev, said his department had worked hard to disrupt the plans of the terrorists. But further details were not given. Now 8 months on, a popular Russian daily newspaper, Moskovsky Komsomoltets, features an investigation by its own reporter. Its photographs show a truck loaded with weapons, appearing to be the one that exploded with Basaev onboard. The article says the pictures were taken by Russian agents who managed to hijack the vehicle for several hours while the terrorists were asleep and plant bombs on it. The newspaper claims the drivers of the truck were drugged with sleeping pills and alleges that there were 26 special agents involved in this operation including two women. It goes on to claim that they knew what weapons were onboard the truck beforehand, because one of the agents managed to become part of Basaev's close circle. Allegedly the rifles and explosives on the truck were replaced by ones containing remote controlled bombs. The paper concludes that the whole operation was tightly controlled by the Russian Security Service, FSB, and the presence of different weapons suggests that the terrorists could have been planning a siege.